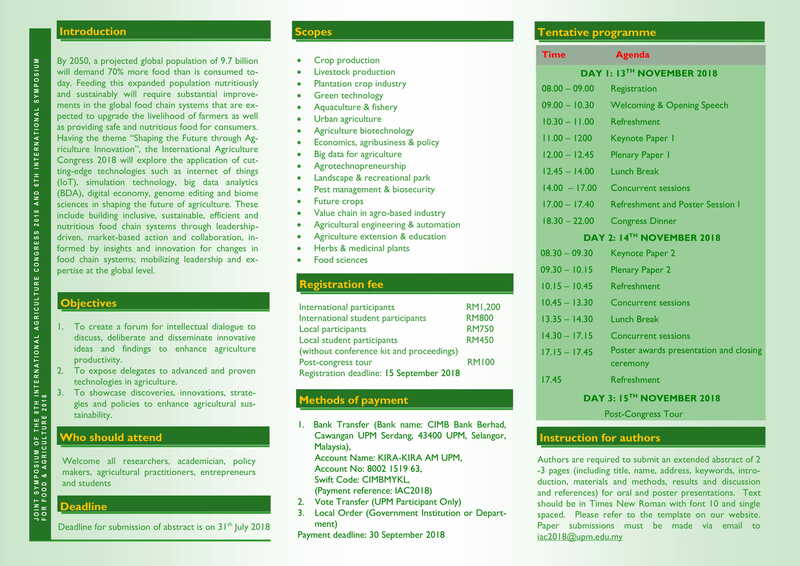 The new deadline for submission of extended abstract is 30th September 2018. 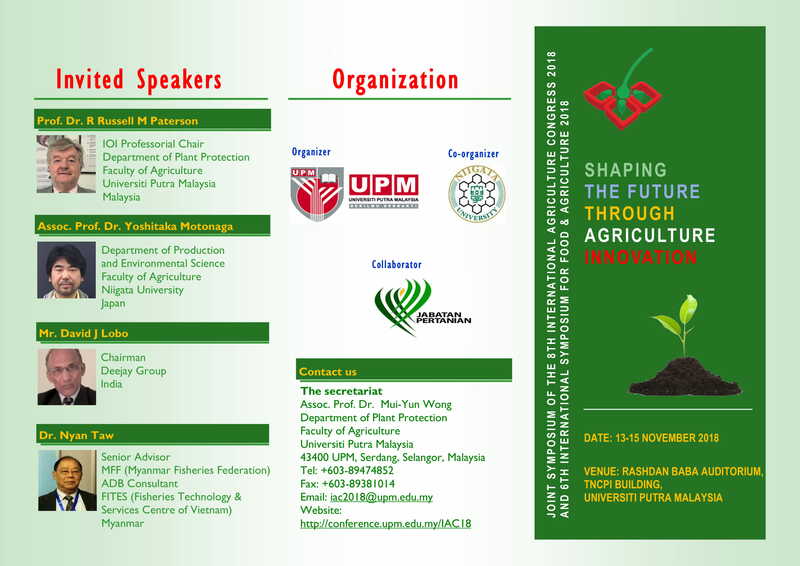 Please visit the conference website at http://conference.upm.edu.my/IAC18 for online registration, abstract submission and other extended deadlines. Thank you.